In 1924, Baron Philippe decided that all the wine should be bottled at the château, asserting the role and responsibility of the owners of top growths in the face of the all-powerful Bordeaux wine trade. Hitherto, the wine had been delivered to the merchants in barrels. This decision, soon taken up by others, meant that storage space at the château had to be increased. The spectacular Grand Chai (Great Barrel Hall) at Mouton, designed by the architect Charles Siclis, was built in 1926. In the same Médoc spirit, in 1933 Baron Philippe acquired a small wine-trading business in Pauillac, destined for a flourishing future under the name by which it is now known, Baron Philippe de Rothschild SA. Among other wines, the company would produce and market Mouton Cadet, created in 1930 and now the world’s leading Bordeaux AOC brand. 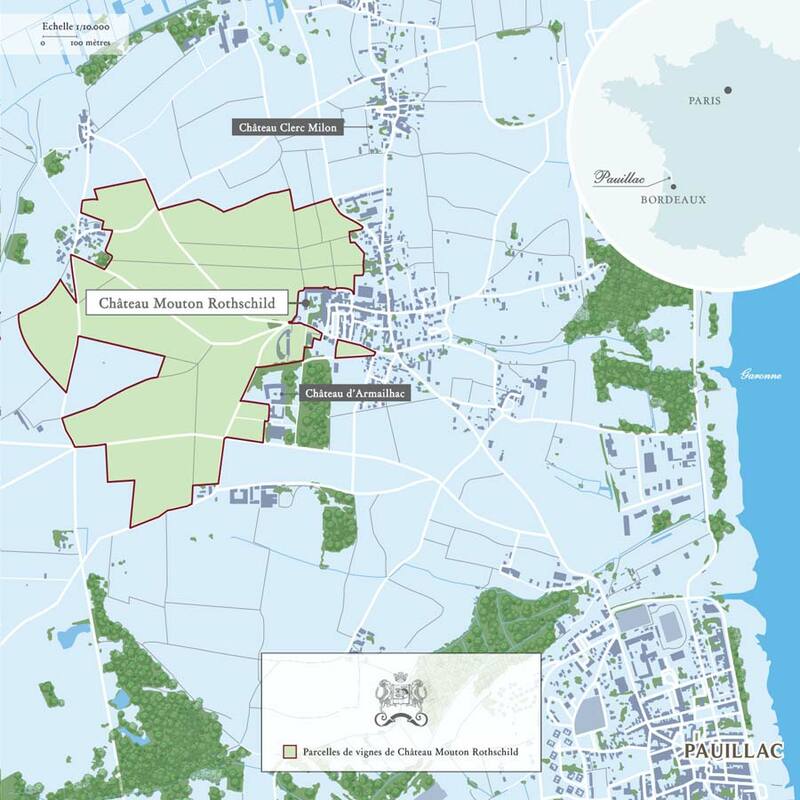 Later, the family extended its holdings around Mouton with the acquisition of two classified growths in the revered Pauillac vineyard: Château Mouton d’Armailhacq in 1933, renamed Château d’Armailhac in 1989, and Château Clerc Milon in 1970. The long reign (1922-1988) of this poet and man of action was marked by a series of key decisions, some of which would revolutionise the world of wine. Baron Philippe also made a point of forging strong links between Mouton and the arts. The 100-metre-long Grand Chai already constituted a remarkable feat of architectural prowess. Then, each year from 1945, the label for the vintage was illustrated with the reproduction of an original artwork specially created for Mouton by a contemporary artist. In 1962, the château itself was transformed into one of the Bordeaux region’s leading tourist attractions with the inauguration of the Museum of Wine in Art. Designed by Baron Philippe and his second wife, Baroness Pauline, the museum, located beside the Grand Chai, contains a collection of precious objects from all ages associated with the vine and wine. The Club, an attractive little building used for tastings and as a visitor centre, was added in the 1970s. For twenty years, Baron Philippe fought to enhance the image of Mouton Rothschild and secure its elevation to First Growth status. He finally triumphed in 1973, when Mouton officially joined an elite to which it had belonged de facto for many years, following a decree signed by Jacques Chirac, then Minister of Agriculture. Baron Philippe was also keen to take the know-how of the great Bordeaux châteaux to other parts of the world. In the evening of his life he entered into partnership with the American Robert Mondavi, a famous winegrower in California’s Napa Valley, which culminated in 1979 in the creation of Opus One, the first Franco-Californian ultra-premium wine, planted, made, matured and blended in the traditional Bordeaux manner. 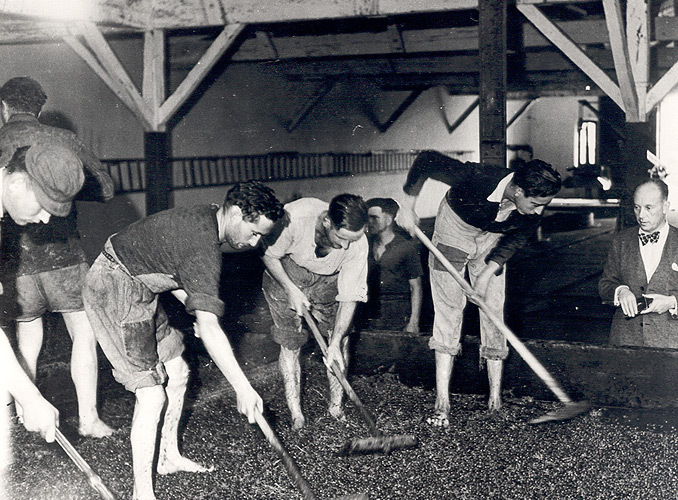 Château Mouton Rothschild, year 1930 : Baron Philippe de Rothschild attending the grape crushing. 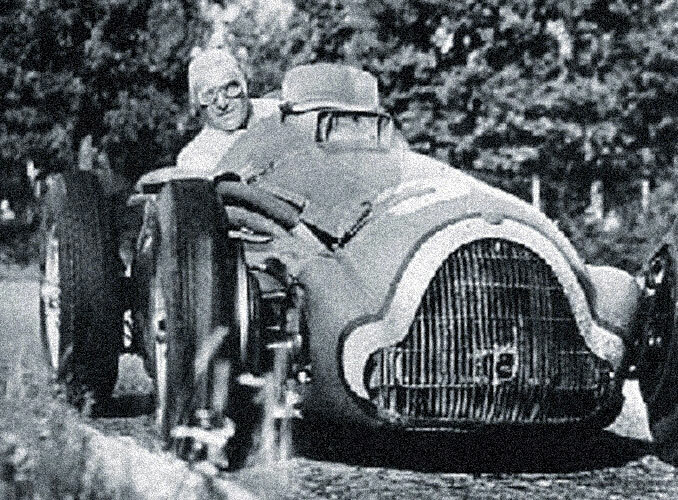 Baron Philippe, a keen racing driver, at the wheel of his Bugatti during a Grand Prix. 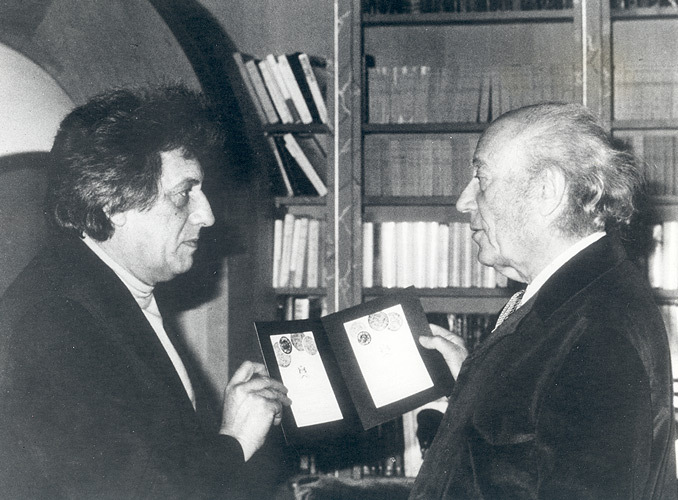 Baron Philippe de Rothschild with Jean-Paul Riopelle. For the 1978 Mouton Rothschild label, Riopelle prepared two designs: it was impossible to choose between them, and each was therefore used for half the vintage. 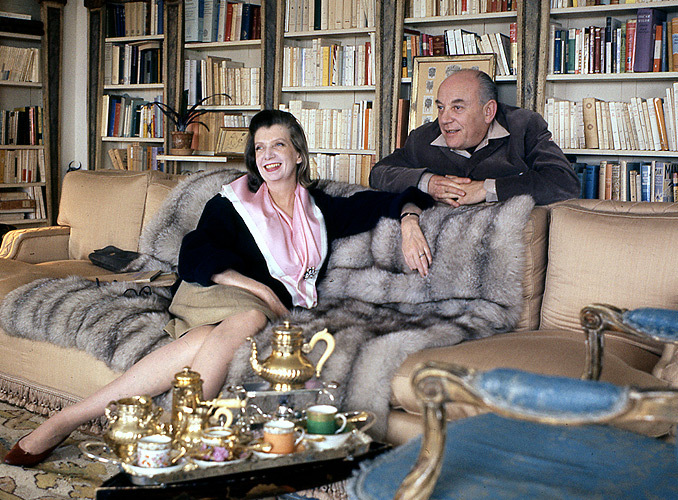 Baron Philippe de Rothschild with his second wife Baroness Pauline (1908-1979), née Fairfax Potter, the daughter of a well-off American family from Philadelphia. A woman of exceptional taste and imagination, she was for many years a fashion designer for high society in New York and Paris. She was also a woman of letters and, after her marriage to Baron Philippe in 1954, helped him with his translations of Christopher Fry’s plays and Elizabethan poetry, and with the creation of the Museum of Wine in Art. 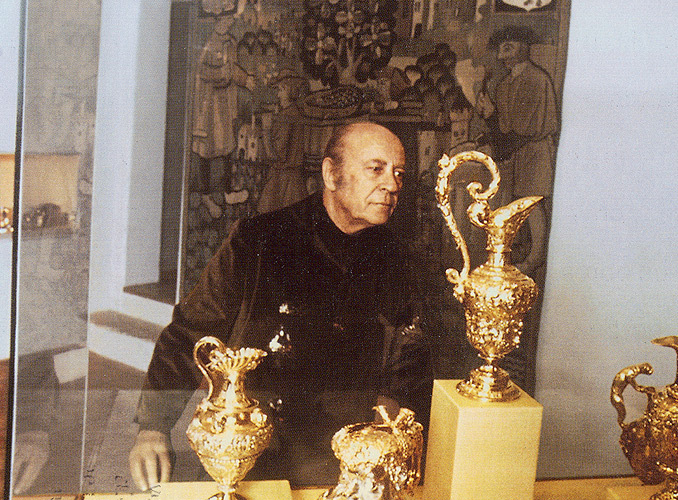 Baron Philippe contemplating pieces of 17th century German gold artwork, prized items in the Museum of Wine in Art.